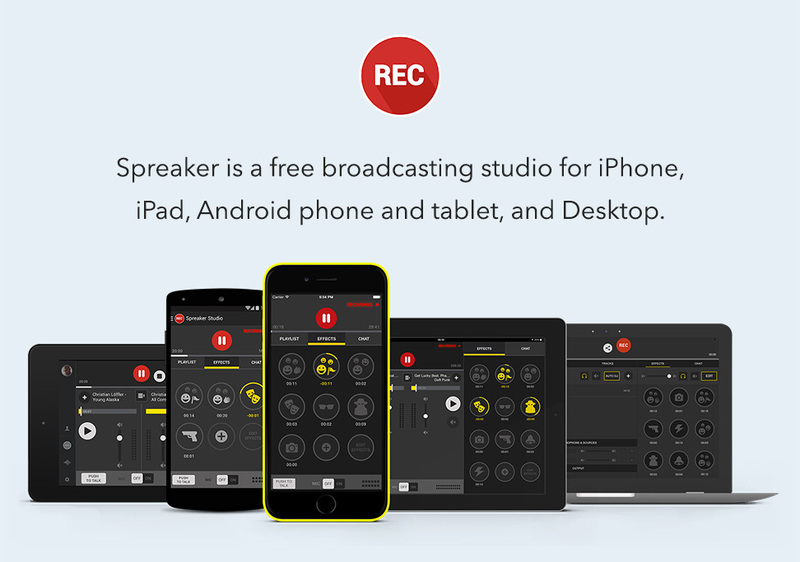 Spreaker is a free broadcasting studio for iPhone, iPad, Android phone and tablet, and Desktop. Spreaker allows you to create your own personal radio show. submit your podcast to be included on iHeartRadio and reach a massive global audience, with millions of listeners tuning in every day. Have your show promoted alongside talents like Ryan Seacrest, and Elvis Duran. Submit your show to be included on iHeartRadio and reach a massive global audience! Sign up and join the millions of users who are already creating and listening to great audio content on Spreaker. Spreaker has been giving broadcasters and radio hosts simple, yet high-quality tools to create, host, distribute, and measure their audio content since 2010. Website and mobile apps for iOS and Android are available to guide radio hosts through the entire broadcasting process. Features include a recording console, audio storage space for hosting shows, the ability to connect with social networks and embed players, detailed audience analytics, and so much more. Whether you're creating a radio show or a podcast, Spreaker gives you all the tools you need to be heard.